Clean Interior & Exterior Surfaces with High Power Cleaner! High Pressure Car Cleaning Tool is the fastest and easiest way to clean all automotive surfaces. This tool blast cleaning solution into crevices you can’t reach by hand. Clean carpet, plastics, and upholstery inside the car. 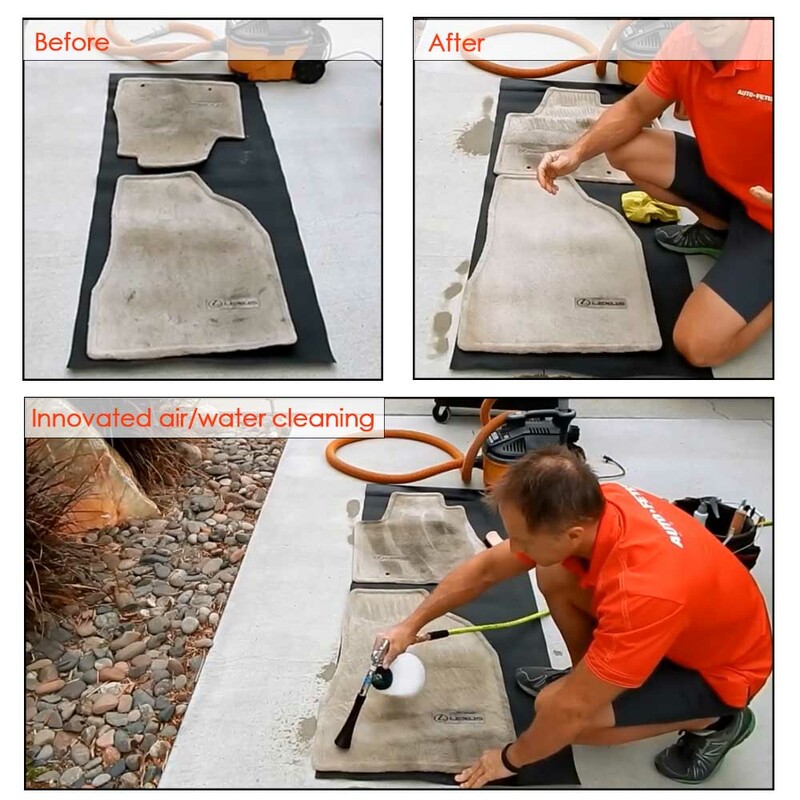 This High Pressure Cleaning Tool tackles your most challenging detailing jobs with ease. The cone-shaped nozzle and oscillating tip create a tornado cleaning action that cleans hard and soft surfaces like nothing you’ve seen before. Dirt and grime are immediately released from fabrics, carpet, and solid surfaces. Make your car look brand new inside out! 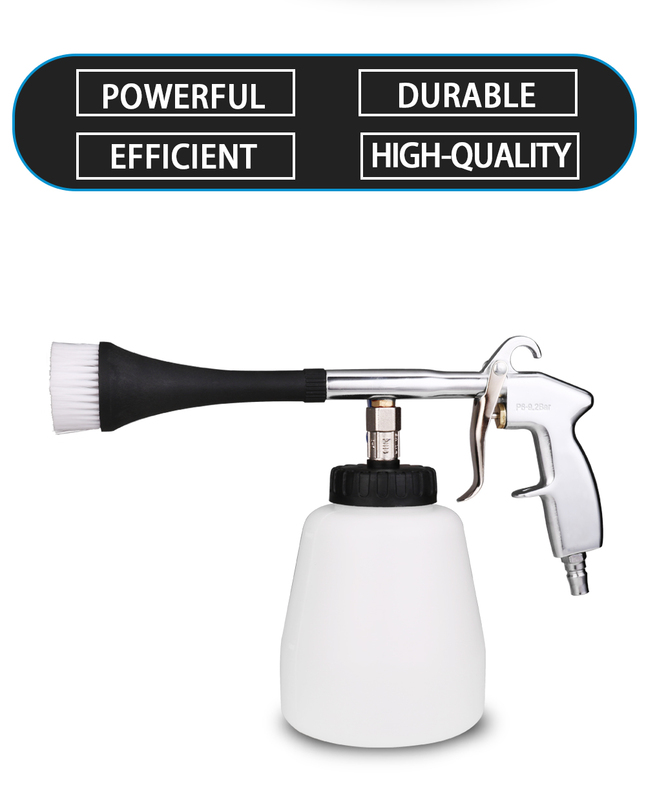 High Pressure car cleaning tool is the fastest and easiest way to clean all automotive surfaces. Cleans and air dries in seconds. Tested and approved by industry pros. Clean carpet, plastics, and upholstery inside the car. Clean wheels, convertible tops, and body seams on the exterior. Low wear and maintenance. Heavy-duty construction. Low noise emissions. The cleaning gun is connected with the air source, which causes high-speed rotation of the circular tube within the bell mouth of the cleaning machine with a pressure of 6.5-9.2kg. The centrifugal force as a result of the rotation evacuates the airs in the center and forms a powerful airflow to atomize the detergent. The atomized detergent is attached on the stained parts to completely separate the stain molecules from the surface of the parts. This cleaning tool is unlike any other detailing tools! Removes spots, stains, ground-in dirt, and spills. If you're a car care professional or a true detailing perfectionist, you will love the super-charged cleaning power tool!